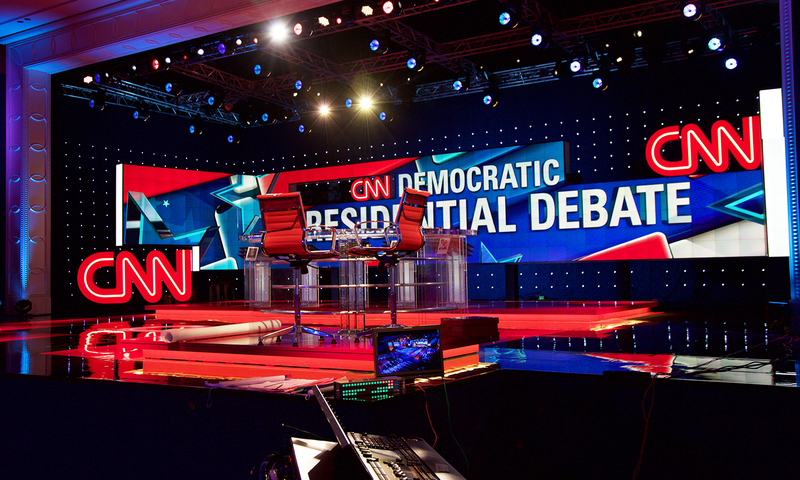 For the first Democratic Debate of the 2016 election season, Clickspring transformed nearly 16,000 square feet of the Lafite Ballroom at the Wynn in Las Vegas into a 360° experience for 1400 live-audience members as well as the millions viewing at home. 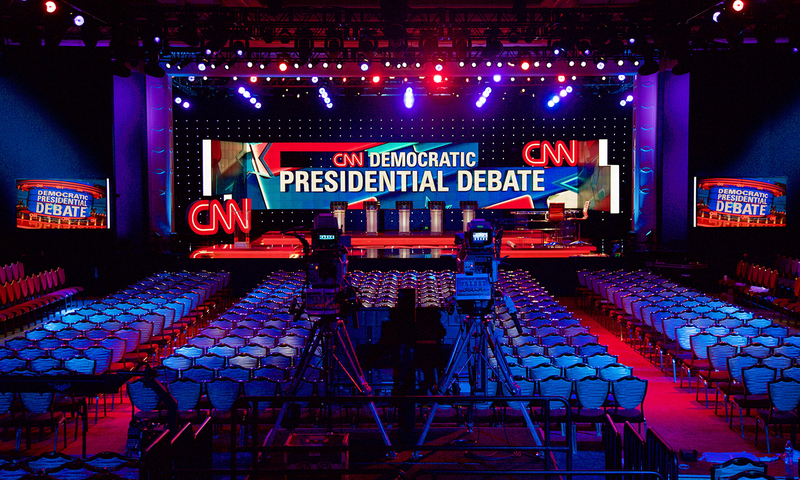 Hosted by Anderson Cooper, this event marked the debut of CNN’s debate season set. 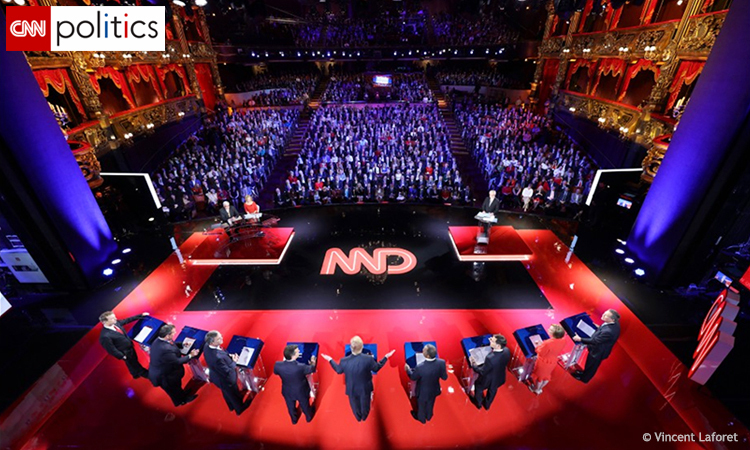 Onstage 322 Christie Microtiles came together in notched shapes to surround the candidates with dynamic video media. 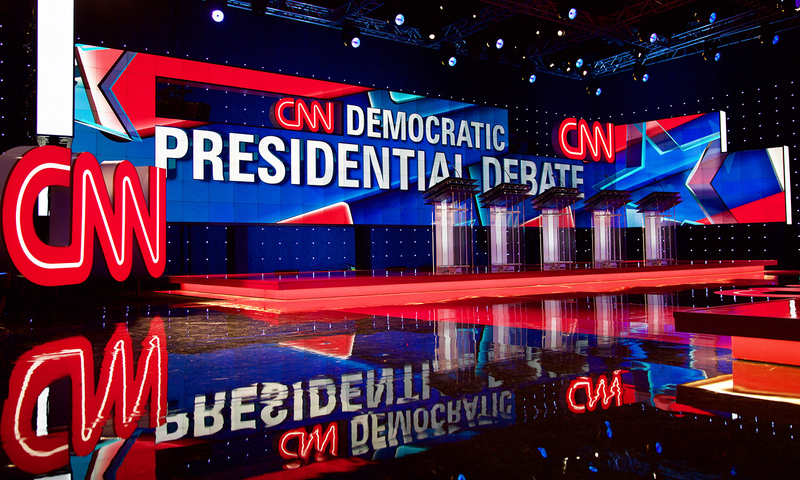 CNN logo lightboxes served as accents, and a custom clear acrylic desk showcased the debate questioners. The entire scene was backgrounded in blue velour pierced with a white LED pattern reminiscent of the American flag. 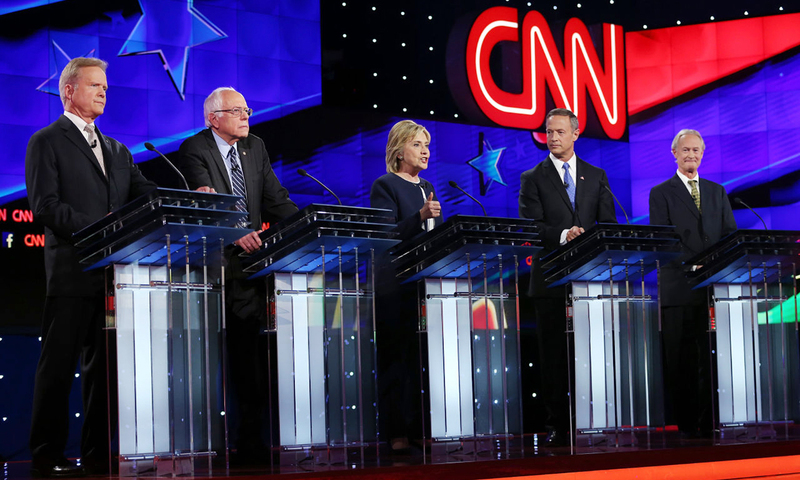 According to Nielsen ratings, the debate averaged 15.3 million total viewers, with the 25-54 age demographic averaging 4.8 million — the highest ever for a Democratic debate. Seems like the start of an exciting election season! 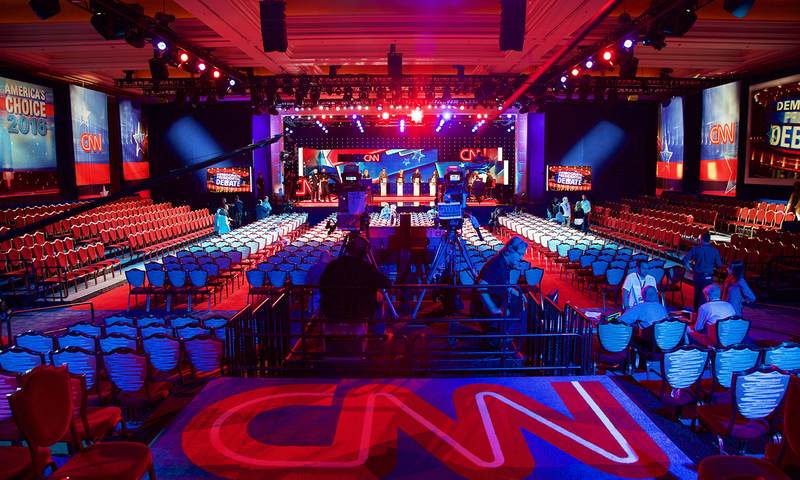 See stunning photos of the set reconfigured in Las Vegas' Venetian for the Dec 15 Republican Debate.